How can I use Education Perfect in the classroom? There are many different ways that you can use the Education Perfect system to enrich the classroom learning experience. Just a few examples are laid out below. Set a task with a time/points limit for the first fifteen or twenty minutes of your class on targeted vocabulary or topics. This is great for setting up as a daily or weekly routine, such as as an activity to take part in while the roll is being taken. Q&A Competition: set up a list of questions on the smart board, with one student stationed at your computer, and have students call out answers, raise their hands, or use a ball to determine who answers the questions. A student is out if an incorrect answer is given, or if they run out of time. Think-pair-share session: give your students some free time on Education Perfect to find concepts, features, aspects, lists, etc, that interest them. Allow them a few minutes to work through their ideas, then another to discuss this with a comrade. Finally, discuss this as a class. This is great for introducing students to the system, and getting them familiar with content. Allow your students to head the learning: allow your students to find activities on Education Perfect that capture their interest, and collate a list of suggestions with names. You can then begin each lesson with a student suggestion, and allow them to take the lead. Learning stations: assign work on Education Perfect for students to complete as a group. It's best to set up a task with the time parameters of the class length, with an additional week's late submission. The work that students don't complete can be finished as homework, or as follow-up work in later lessons. This is great for when not all students have accounts or devices. Teaching activities for extension students: assign content to extension students in advance, and then have them use the system to teach skills and concepts to groups of their classmates. Conclude the lesson with a shared learning session to ensure that students have got something out of it, then set tasks for the rest of the class as homework. This provides different perspectives on the content, and stimulates the understanding for your extension students. Blind testing: split your students into pairs. Have one student at a computer, and the other sitting facing away from the screen or blindfolded. The student at the computer reads the question to the other, who answers verbally, and the first student inputs the answer if they agree. The students have to reach agreement and input the answer before the time runs out. Race to the board: split the class into two or three teams, and line them up in two columns facing the front. 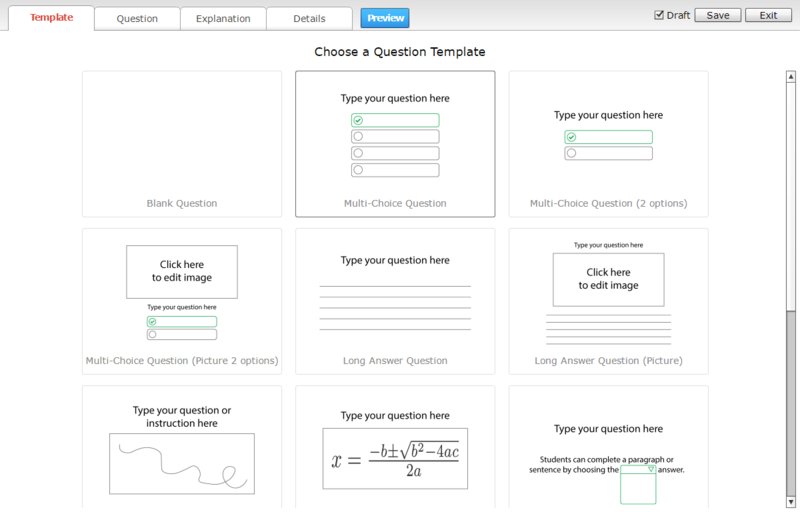 Have Education Perfect set up on the smartboard, with a quick answers list set up. The people at the front answer questions; if they get it correct, the person at the back runs to the front of the line. First team to the board wins! Taboo: a student sits in front of the screen, with their back to it. Have a word or phrase pop up on the screen, and the rest of the class has to help the student guess the correct answer by providing clues in your language, without saying the actual words. Around the EP world: divide the class into tables of between four and six. Each group takes a turn answering questions from Education Perfect (can be projected onto the board, or read out) and all students begin standing. The first hand up answers and can select another student at their own table to 'knock out'. If they answer incorrectly or no one at the table can answer then the question is opened up to the rest of the room, but they can only knock out someone from the table that is standing. Last one left standing from each table comes to the front for a knockout round; the overall winner wins lollies for their whole table. EP Speed Dating: split the class into two and have half of them sitting on chairs in a small circle in the middle of the room facing outwards while the other half stand in a large circle facing them. The inner group select a quick fire list on their phone, iPad, or whatever device they can access Education Perfect on. They then ask questions and those in the outer circle answer them, moving around every thirty seconds in a 'speed dating' fashion. This is a good way to engage the whole class and work through a lot of content. EP Whispers: one person sits at the back of the classroom with a laptop, while the rest of the class is lined up in two teams with their backs to them. The teacher/student at the back shows the person at the back of each line a word or line of vocabulary in your target language, which they then whisper to the next person in line. It is then passed up the line until the student closest to the board hears it; they pick up a whiteboard marker and write the word on the board. If correct, the team gets a point. This can be the Target Language to Target Language, or Target Language to English. This stimulates communication, and develops familiarity with the spoken language. EP Terminator: set up Education Perfect at the front of the class, preferably projected onto the smart board. Scatter students around the classroom, standing up, with space to swing their arms without hitting anyone. As each question comes up, the first hand up gets to answer, and must do so immediately, i.e. no thinking about it. If correct, they take a step, and any classmate they can touch from their new position is tagged out and has to sit down. If close to someone, they must be tagged out. In the event of none of the standing students being able to answer the question, it's opened to the floor; those tagged out can win their way back in by answering a question correctly. Last student standing wins! You can set tasks and homework for individual students that is personalised for their use, or set up assignments for differentiated sectors of the class for the purposes of targeted learning. The Assessments function can also be used to set up informal testing for diagnostics. When competitions are in place, they can be helpful for stimulating learning; try setting appropriate targets for points for each cohort and class, and give class time for students to achieve them. Education Perfect makes it easy to harness competitive spirit to inspire learning. Personalise the learning for each student by identifying those that might need revision, extension, or consolidation and setting them extra content as a task. Try setting work to run before lessons begin so that students arrive to class with a pre-understanding of the words used. You can then devote more class time to activities, games, practicals, and so on. This can also be useful if you don’t have much class time available. One-on-one time between student and teacher (or learning assistant, tutor, etc) in which the student gives answers verbally can help students engage with learning without having to type. They also have someone to prompt them if they lose focus. Students can create videos, text, audio files, comics, cartoons, and images that you can then upload into a question. For example, a student could take a photo and describe their features in the target language, or they could add a video example to an experiment description. Note: Students can also create their own Smart Lessons just like teachers can using the templates in the Manage Content tab. This is another excellent way to boost student engagement and reinforce understanding.